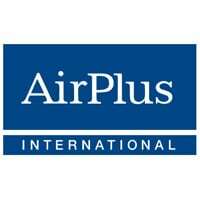 Business travel payment specialist AirPlus International has launched an NFC pilot in Germany, in partnership with mobile network operator Deutsche Telekom. Starting this week, employees at the telco’s Bonn, Frankfurt and Hamburg sites can pay via NFC using the T-Mobile MyWallet application at any MasterCard PayPass contactless terminal. To use the service, users first download the digital wallet app. They can register more than one credit or debit card to it, including their AirPlus corporate card for business expenses. They can then select their preferred payment method before tapping their phone against the card reader at a cash register to make the payment. In addition to making payments, MyWallet can also store customer tickets and access IDs. According to AirPlus, the purpose of the pilot phase is to align the mobile payment solution closely with the specific requirements of business travellers and organisations. Patrick Diemer, managing director at AirPlus, said: “Mobile payment will turn our payment habits upside down. It offers great benefits to business travellers as well as to travel managers.